Had my trans rebuilt a couple years ago - and I lost 3rd gear this weekend at Sears Point. Car had 9 track days on it and the people who rebuilt it aren't willing to help in any manner. Was fortunate to speak to Brad Roberts who was at the event helping out the Vogels about options. Putting in a 06-08 low mileage 987 6 speed appears to be the best option at this point - although I'll have to swap my Guard LSD into it. Anyone done this? Gearing appears to be slightly different - but not that much that I think I would even notice. I also would have to replace the mounts - but honestly I was about to do that anyway. don't think the lsd's will xfer. gilles has a 987 6-speed unit that would work for you if you do the switch. you will have to change axles *i think* as the 987 unit is shorter, requiring shorter axles. if you do go ahead w it, i 'd be interested in your 986 lsd. odd, as it is lighter than the 986 6-speed, and the 986 unit is the same as the unit in the 996 yes, which handles 3.6 power all the time in the 996.2? perhaps check on planet-9 to see if any of the racers there have transmission woes. hmmm; seems to me to be some confusion in that thread. i'm certain the 987.1 got aisin transmissions??? and that they changed when they went to the 987.2 which is what got the glowing report from bgb? regardless, i am pretty certain that you would also have to change shifter cables, slave cylinder and clutch line to the cylinder, and not sure on clutch plate (confirm input shaft diameter and spline count). check w Brad, but i think they were custom making axles for the application. and i think gets 25 lbs off the car. If this is true, the 987.2 from 09 on won't bolt up to the engine, only the first gen. Just like a lot of things - there's always a ton of conflicting info. One of the posts in the thread indicates the 987.1 was a Getrag and confirmed it with the transmission out of the car. "The biggest difference is the bell housing bolt pattern. When you get to '09+ 6spd they won't bolt to an earlier engine crankcase. Internally there is a slight difference in ring and pinion and original 5th and 6th gear ratios. Mechanically they are identical." I do need to talk to Brad - but he made it sound like the 987 would bolt right in and the LSD would swap. Although the subject of axles didn't come up. He did mention something about being able to use a re-geared Audi TDI trans - but you need to fab custom mounts and do a few more tweaks to make it work. Matt makes it sound like the 987 is similar to the Audi TDI unit in design. Brad seemed to indicate otherwise. Ugh. Last edited by rastta; 11-05-2018 at 02:04 PM. You may want to try and ask Erik Johnston on here......hope I spelt the name right. Been researching - Limited Slip will NOT swap over. My G86-20 has a GT2 Pro in it and the G87-20 takes the Cayman S pro or club. UGH. This is going to be a PITA.....my trans has been rebuilt twice which means it's doubtful it could be rebuilt again. LOTS of 987 6 speeds out there - not so with the 986's. did a bit more searching; looks like the 997 got the aisin, but they kept a getrag in the cayman/boxster - presume getrag couldn't handle the bigger power of the 3.8 in the 911. it is looking like it is a getrag 466 model in both the 986 and the 987 from what i can see, but they look physically different, so getrag must have improved it for the newer cars. Honestly - I wouldn't hesitate to fix the one I have if it hadn't already been done twice (maybe more that I didn't know about - previous owner had said it was rebuilt once). Not many 986 boxes out there and all have high mileage, but they are a considerably cheaper than the 987 boxes - about $1500 versus $2500 with more than double the mileage though. So more info on the 987 transmission from Bill Rader Motorsports who specializes in Porsche transmissions. He indicated that the 987 box isn't any stronger if at all, parts are very hard to find and are considerably more expensive than the 986 box. He doesn't seem to think there is any limitation on the number of rebuilds on the box. Waiting on more info from him on the issue. Been looking at this info as well. I've been told (but not confirmed) that the 987 6spd will bolt up to 986S rear uprights. Is that correct? The 987.1 trans will bolt to the engine. The 987.2 transmission will not. You want the G87-20 not the 21 as that has the longer 1-2 for the Cayman. 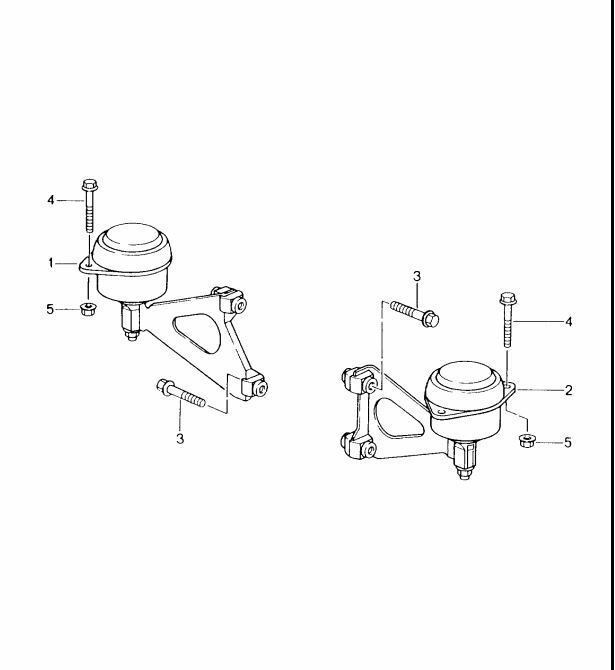 I haven't determined whether or not you need to use 987 axles, but if you do, they splines and shaft diameter will work with the wheel hub and housing. The 987 axles are slightly beefier. It's a problem, I believe, going from a 5 speed to a 6 speed. I've confirmed you need new shift cables and you need different mount flanges that attach to the 987 case - they are different. However, they use the same transmission mount that bolts to the subframe. I've been exchanging information with Bill Rader Motorsports . They have indicated that they don't believe that the 987 6 speed is any stronger than the 986. They've also indicated that parts for that transmission are very difficult to get and are very expensive, the contrary with the 986. They've also indicating that if you know what you are doing you can rebuild these 986 transmissions many times. They have done so on numerous race cars. Parts are also more plentiful and cheaper. If I can work out everything, I'm most likely going to send my box to them for a rebuild. Depending on the problems and what needs to be replaced, I'm also looking at possibly shortening the 3 and 4 gears. 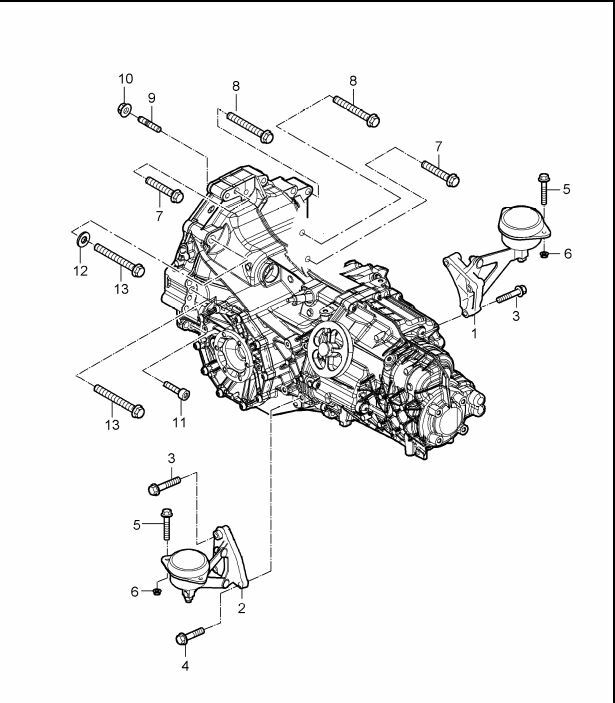 The audi transmission Brad referring to is the O1E transmission. It's a beast of a transmission but not easily installed into a 986 that I know of. The O1E came in many cars but the Audi diesel sold in Europe is the one most kit car guys go after. It is the only 2wd version that will work in a mid-engine car. I've heard some people have been able to modify the 4wd version to make it 2wd. Same goes for the audi OA3 six speed. As for the 987 vs 986 6 speed. The 987 is geared slightly lower, slightly lighter, $1000 more expensive and you'll have to modify the axles. I think you have to run 986 axles with 987 inner CV joints, but don't quote me on that. I'll ask a friend who has a 987 6 speed in his 986. From what I've seen on the track. I don't think it's worth the hassle as I don't see a difference between the two at the track. I recommend installing a trans cooler if you haven't already. I was at Hallet a few weeks ago helping a friend with his 986 S. With the trans cooler the trans temp was around 225. A cooler line broke and the driver went around the track once before they realized what had happen. The trans had dumped all its fluid on the track! He brought it back and we had to disable the cooler. We put some new fluid in it and he continued for the last hour of the race for that day. With nothing to lose he raced for 7 hours the next day. The trans temp got as high as 305 but never missed a beat even without the cooler. My friend finished second behind a 3.4 cayman and ahead of a 986 with a 987 6 speed in it. damn, blown up after 9 days. I would be mega pissed. They recommend the trans cooler on the 987 trans due to issues with overheating at the ring and pinion I remember reading. I'm wondering if that is a similar issue for the 986. I'll ask Bill Rader. I've asked Bill if there are any upgrades I can do to the trans that will help with strength and or longevity and am awaiting an answer. Yup - but when it was rebuilt - they focused on fixing the problem, they didn't rebuild and replace the entire gearset etc.